Damian qualified as a Physiotherapist in 2003 from Leeds Metropolitan University. Since then he has gained extensive clinical experience in a wide range of specialties, working in professional football, the NHS, University sport, and private practice. This broad range of experience, over the past 13 years, has helped Damian develop advanced skills in biomechanical assessment, rehabilitation and injury prevention. He has developed a special interest in sports injuries, specifically lower limb rehabilitation. Damian’s interest in sports injuries led him to work at Bradford City AFC for several years as the Head of Physiotherapy. He has worked closely with a range of professional players and managers including Peter Taylor (former England under-21 manager) and Stuart McCall (former Rangers and Motherwell manager). 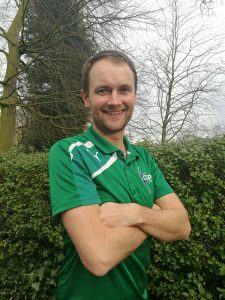 For the past 2 years Damian has been the lead physiotherapist for the University of Leeds Sports Scholarship Programme. This role has involved providing assessment and treatment for athletes from a variety of sports including, athletics, triathlon, hockey, swimming and rugby who compete at both national and international level. In addition to overseeing the rehabilitation of injured athletes Damian worked closely with coaching staff and the strength and conditioning team to help ensure optimal performance. Damian also currently works within the NHS as the team leader for a busy musculoskeletal gym at Bradford Teaching Hospitals. He works alongside orthopaedic consultants, specialising in knee, hip and ankle injuries and provides treatment to patients with varied, complex musculoskeletal presentations. He takes an active interest in current research and is responsible for the development of clinical protocols utilised within the department which are based on the most up to date evidence. This interest in research helped Damian complete his Masters Degree in Musculoskeletal Physiotherapy at the University of Bradford in 2015. He has also undertaken numerous post-graduate courses including acupuncture (AACP registered), manual therapy, kinesiology taping, and muscle imbalance. Damian is a keen runner and has completed several marathons. He also enjoys cycling, golf and football.